While the owner’s away the cat must play! Treat your beloved cat to a special Pampered Pet Session. Whether your cat enjoys quiet snuggle time or active play time we have a Pampered Pet Session that is just right! Watch our feature on CBS News! Please call (973) 539-0377 for more information regarding Cat Boarding. 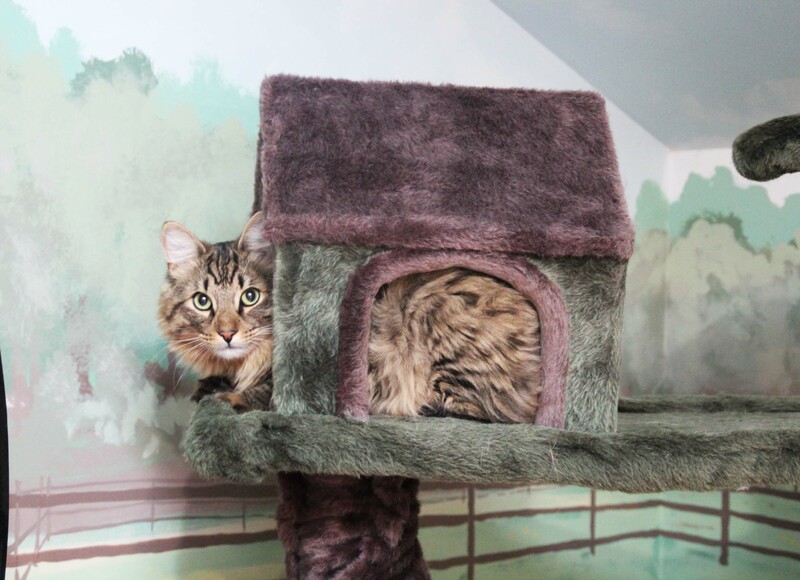 Kitty Play Room – Gives your cat free roam in our beautifully designed play room with climbing and scratching posts, skylight for outside view, toys, catnip, and furniture. 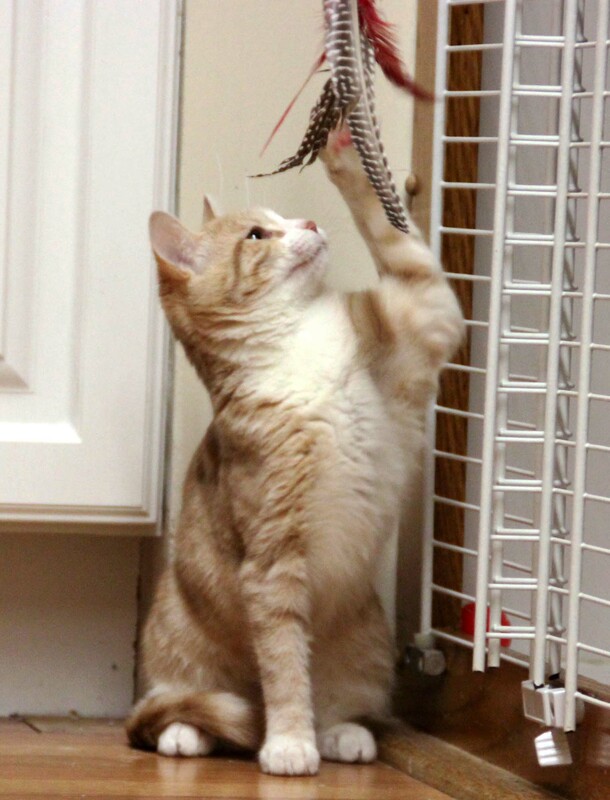 Teaser Play Sessions – Great for the cat on the prowl and can include teasing with a peacock feather, a mouse laser light, teaser toys, and more by our team of Cat Pamperers. Catch O’ The Day – Your cat will be spoiled from the many surprises of the sea! A delicious and wholesome gourmet treat awaits your pampered feline. 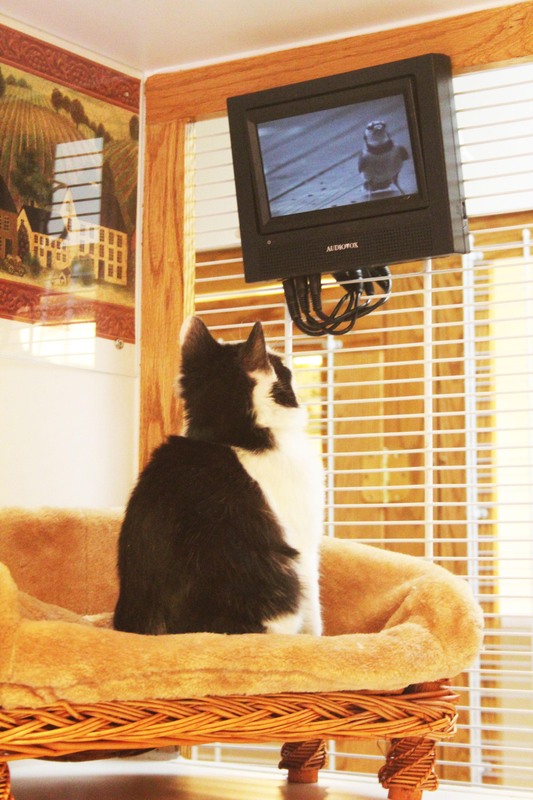 Kitty “Walks” – Does your cat enjoy the sights and sounds only the outdoors can provide? Our team has a unique, enclosed “Kitty SUV” complete with large viewing windows. Schedule a “walk” in the Kitty SUV and allow us to take your cat for an outdoor tour of our lush, scenic grounds. Crazy Cat Electronic Tablet Game- Your cat will enjoy an hour of digital entertainment with our own tablet device designed for your cat’s enjoyment. 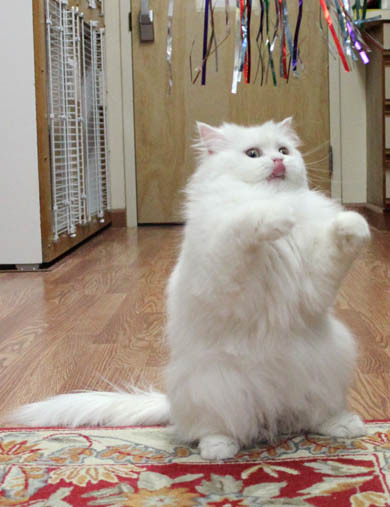 One of our many cat pamperers will teach your kitty to play an assortment of games. Curious Kitty Chaser Game- Our chaser games are designed for your cat’s pawing pleasure. Each game will allow your kitty to play and pounce in the convenience of their own accommodation. Kitty Kartoon- Let your kitty explore his/her artistic side during our interactive ipad game. Your kitty will have the ability to create their very own masterpiece which he/she can take home. Kitty Wheel Exercise Session- Let your kitty burn off that extra energy on our specially designed Kitty Wheel. One of our many cat trainers will teach your kitty to become a pro on the wheel.